Council Members Can Lie on the Dais? An Expose. Is there a Truth Double Standard from the Council Dais? At the last Council meeting on the 26th of June, the Mayor opened the meeting with the National Anthem and invocation as normal which is followed by announcements. Typically, this is when Council member Schott showcases her work with the Barclay Theater or other good will announcements. 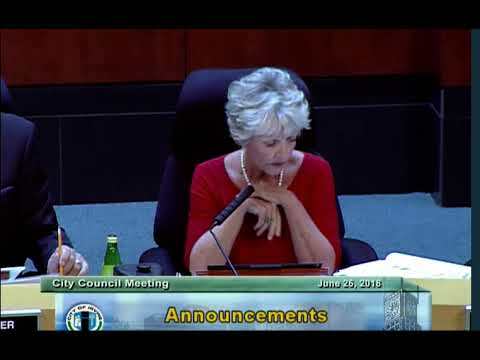 At this meeting however, Council member Shea chose to disparage residents and to falsely accuse council member Schott and an Irvine citizen Jeanne Baran of filing a complaint with the FPPC. Let’s provide some context for a FPPC complaint. The FPPC promotes civic engagement by promoting the fairness and integrity of California’s political process. A FPPC complaint is a form that is completed online by the individual who has a concern with the political activities of elected officials. It is a part of our democratic process and right that we, as citizens, have to ensure that we feel represented – truth to power. In short, it is an arrow in the quiver of our democratic rights. Within this form, the filer is asked to provide the names of people who they believe to be witnesses to the activity in question. NOTE: These people may or may not have been consulted when adding their names to the witness list NOR are these folks considered the filers of the complaint. However, Council member Shea falsely accused both Ms. Baran and Council member Schott (Ref. the video) without any interruption or correction from the City Attorney or the Mayor. In the perpetuation of this misinformation, she has enlisted one of her commissioners (Allan Bartlett) who also publicly accused Ms. Baran and Councilwoman Schott. See the post below responding to Shea’s commissioner. As for Dee Fox – the actual filer of the FPPC complaint, Shea also publicly accused her on Social media of using an alias, which is false. The name Shea stated was Rosenblum. Ms. Dee Fox recently got married and her last name is now Roseberry. So, again, the name Shea mentions is a false claim and again is allowed to be perpetuated from the Council dais. Later in the video, Council member Shea makes two additional false statements. First, she claimed that the Irvine for Responsible Growth Initiative was a “no growth” initiative – continuing to parrot the sentiments of her campaign funders who did not want to yield any voting power to the electorate or consider public input in the development process. There was absolutely nothing in the initiative that stated “no growth”. The initiative wanted to include the voters’ voices in a development process that appears biased by PAC donations. The second false claim was her rationale for immediately sending out the notice about the initiative. She said the “public” needed to know about the initiative and she was within her right to immediately forward the text of the initiative when it was still under city review. Let’s break this down quickly as well. The complaint was regarding the “segment” of the public that Shea notified. Did she post it on her Facebook page or Social Media? No. Did she take to NextDoor with a copy of the initiative? No. She sent it to 2 people. Two. Who were they? Patrick Strader from 5 Point and Paul Hernandez from The Irvine Company. Reference the email by clicking the link here. We submit that Councilwoman Shea wasn’t alerting “the public” but a super-tiny micro-segment – the segment who hold the keys to her political career – and has thus made an additional false claim. Irvine Watchdog is shocked and surprised that Council member Shea did not educate herself more fully before speaking from the dais. In a city where the citizens are routinely suppressed and representative democracy seems to be a complete afterthought, the citizenry has every right to use the tools that are available to them to ensure a fair and representative democratic process. It is beyond troubling that our Council can be held to a much lower standard of integrity when they are supposed to be the purveyors of truth in government (oxymoron perhaps?). It also calls into question any other claims Council member Shea has made from the dais. For the elected officials to use the dais to falsely accuse other Council members and its residents shows a serious lack of integrity and one that should be called out by our Mayor. Furthermore, Councilwoman Shea needs to apologize for berating and lambasting voters and other elected officials. I, for one, am not holding my breath. MELISSA FOX, CHRISTINA SHEA, and DONALD WAGNER are all working together to ensure the people that they are suppose to support, do not have a voice. They continuously insult, accuse, and threaten the citizens of Irvine who just want answers. They engage in slanderous comments rather than demonstrating transparency. The lack of respect that they show the people that come before them to express their concerns at city council meetings, by playing on their cell phones, or doing whatever it is they are doing, instead of paying attention to its citizens, is beyond anything I have ever seen. I can tell you that, just like Measure “B” and its failure, so will these three council members. The people of Irvine are a lot smarter than this council gives us credit for. They expect us to just sit back and let them do whatever they want with our tax dollars and to show no accountability … what country do they think they are in? Vote them out when they are up for re-election. And Shea has recycled for years, she needs to be votes out and not re-elected. Get your neighbors and friends to vote.